The collection launched on selected Gucci stores and Gucci’s online stored dating from September 2017. 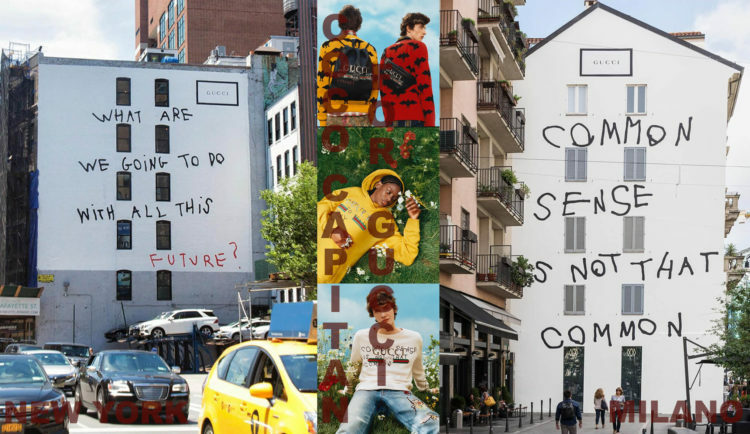 Gucci created art wall project with using two of those aphorisms at Milan and New York streets. “Common sense is not that common” placed on a big wall of Milan’s Largo La Foppa street, meanwhile “What are we going to do with all this future” is placed on a wall of New York’s Lafayette street. Photos of those walls were shared many times, with #gucciartwall hashtag, especially by tourists who are visiting Milan and New York. 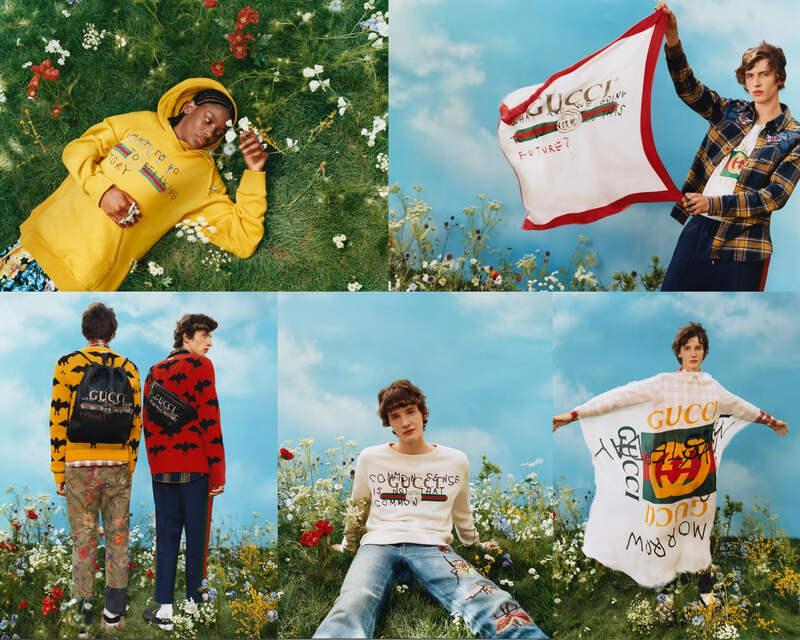 Thus, Gucci, connecting it’s project with social media, created a big impact. Coco Capitàn was born in 1992 in Sevilla, city of Spain. In 2016, she completed her Master’s Degree in Photography at the Royal College of Art in London.She has worked in many fields such as fine arts, commercial art, painting, photography, writing.In 2015 she won the Photographers’ Gallery prize. In 2016 she made jury membership in Hyères Fashion and Photography festival and at the same year she was invited as guest speaker to the University of Cambridge Photography Society.